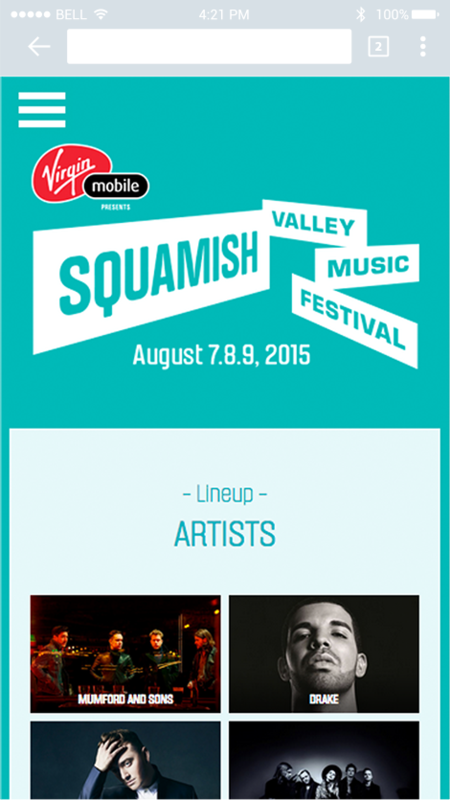 Squamish Valley Music Festival is an epic multi-day summer music festival in Squamish BC. Artists for 2015 include Mumford & Sons, Drake, Sam Smith, Of Monsters & Men, and loads more. SVMF asked Intergalactic to build a website that was true to their brand, engaging, and functional across desktop and mobile. We used parallax and low-polygon art to create a fun, dynamic canvas. 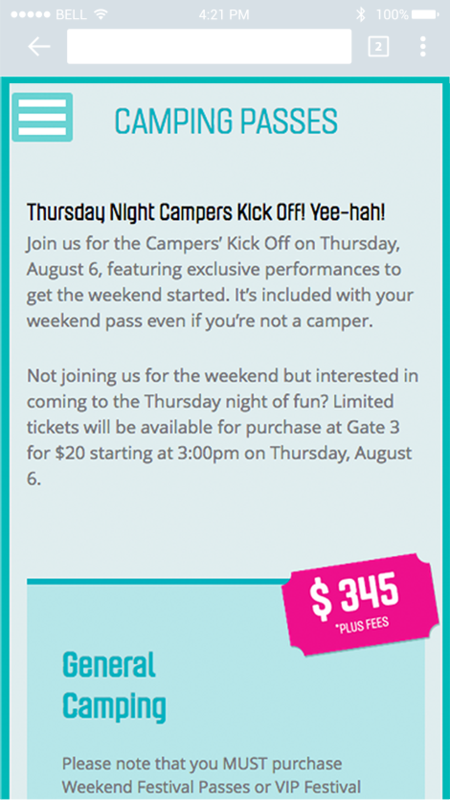 Our Live Nation client campaigns span a number of integration channels, depending on the specific event. 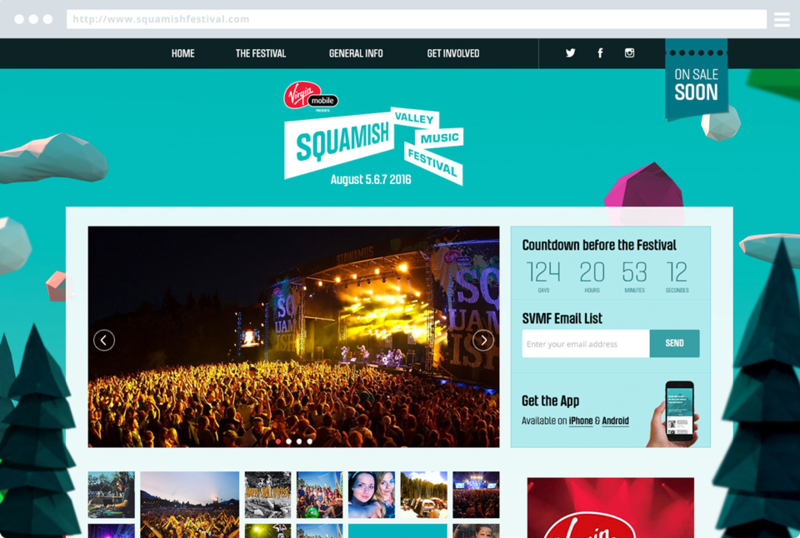 We were lucky to work on Squamish Valley Music Fest Live Nation 2015 website, along with other music festival launches. The tools within the website allowed for social media and scheduling integration with Eventbase’s event app. SVMF used full screen video elements to enhance the design.